The government offices are the one which is established by the government for providing administrative services to the citizens and social-economic development of the country. The government approves the annual budget for such office and releases the budget for maintaining its expenditure. It follows government accounting system to record its revenues and expenditure. The employees are permanent who are appointed by the government. It is established in a country to provide security and peace. It provides administrative services to the people and involves in the social and economic development of the country. Ministry of Finance, Office of the Auditor General, department of Tax and District education office are some of the examples of government offices. It is established, managed and controlled fully by the government. It deposits its revenues in the government fund. Its accounts are audited by the Office of the Auditor General. It performs its financial transactions through the central bank (Nepal Rastra Bank). It receives its budget from the government to meet its expenditure. To maintain law and order and peace in the country. To defend the country against the internal and external attack and violation. To monitor the social and economic activities of the private sector. To maintain and develop warm the relationship with foreign countries. To provide different types of administrative services to be the individuals and corporations. To develop the basic infrastructures in the country. To protect private as well as public properties. A business office is one which is established by the individuals or government for the production and distributions of goods and services with a view of earning money by satisfying the consumers. They are established by the industrial, trading and service businesses. The office of industrial business buys raw materials, converts these raw materials into finished goods and sold them in the market. The office of trading business buys finished goods and sells them in the market. The office of service business renders like banking, communication, insurance, transportation, and electricity to earn a profit. Office of Private Investment: The office which is established by the individuals in the private sector for maximizing profit is called the office of the private investment. The primary objective of such office is to maximize profit. They are established by sole trading, partnership firm and Joint Stock Company. They are managed and controlled by the proprietor, partners and board of directors. The office of Buddha Air Pvt. Ltd. And Panchakanya Industries Pvt. Ltd, Nepal Life insurance Co. Ltd. are examples of office of the private investment. It is established with the investment of owner, partners, and shareholders. Its volume of transactions is usually limited. It develops accounting system independently. It reports its activities, profit or loss and financial position to the owners and shareholders. Its accounts and financial statements are audited by the registered auditor. It is independent in making decisions and forming rules and regulations. Office of Government Investment: The office which is established by the investment of government in the public sector for the production and distribution of goods and services of daily necessities at the responsible price is called the office of the government investment. It is also known as public enterprises. The primary objective of this office is to provide services to the general people. It provides goods and services of daily necessities at a reasonable price. It is managed and controlled by the board of cooperation and Joint Stock Company. The office of Nepal Airlines Corporation, Nepal Oil Corporation, Nepal Telecom Company and Nepal Electricity Authority are some examples of office of government investment. It is established with the sole or majority investment of the government. It is managed and controlled by the board of directors nominated by the government. It has a large volume of transactions. It is established and operated with the primary objective of rendering services. It reports its activities, profit or loss of organization or government. The service motive office is one which is established by the individuals or government for providing education, health, social and cultural services to the society without the intention of maximizing profit. It is managed and controlled by the executive committee or board. It is established with the aim of providing educational, health, social and cultural services to the society without any intention of maximizing profit. The office of Nepal Red Cross Society, Maiti Nepal, Nepal Children Association and Nepal Netra Jyoti Sang are some of the examples service motive offices. It is established by the service motive office. It meets its expenditures with the amount of subscription contributed by the members or donation granted by the members and others. Its accounting is based on a cash basis. It reports its activities, incomes, expenses and financial position to its members. Its account and financial transaction are audited by the registered auditor. It has a separate legal status with independent management. The government offices are the one which is established by the government for providing administrative services to the citizens and social economic development of the country. A business office is one which is established by the individuals or government for the production and distributions of goods and services with a view of earning money by satisfying the consumers. The service motive office is one which is established by the individuals or government for providing education, health, social and cultural services to the society without the intention of maximizing profit. It is managed and controlled by the executive committee or board. State the objectives of government office. The government offices are the one which is established by the government for providing administrative services to the citizens and social economic development of the country.Ministry of Finance, Office of the Auditor General, department of Tax and District education office are some of the examples of government offices. To maintain and develop the warm relationship with foreign countries. Mention the characteristics of government office. Government offices provides administrative services to the people and involves in the social and economic development of the country. State the characteristics of service motive office. The service motive office is one which is established by the individuals or government for providing education, health, social and cultural services to the society without the intention of maximizing profit. Write short notes on Business office. 1. Office of Private Investment: The office which is established by the individuals in the private sector for maximizing profit is called the office of the private investment. 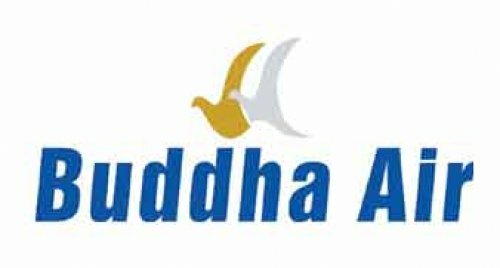 The office of Buddha Air Pvt. Ltd. And Panchakanya Industries Pvt. Ltd, Nepal Life insurance Co. Ltd. are examples of office of the private investment. 2. Office of Government Investment: The office which is established by the investment of government in public sector for the production and distribution of goods and services of daily necessities at responsible price is called office of the government investment. It is also known as public enterprises. The office of Nepal Airlines Corporation, Nepal Oil Corporation, Nepal Telecom Company and Nepal Electricity Authority are some examples of office of government investment. 3. Service motive office: The service motive office is one which is established by the individuals or government for providing education, health, social and cultural services to the society without the intention of maximizing profit.The office of Nepal Red Cross Society, Maiti Nepal, Nepal Children Association, and Nepal Netra Jyoti Sang are some of the examples service motive offices. State the characteristics of the office of private investment. State the characteristics of the office of government investment. On the basis of ownership and objectives, there are ______ types of office. Which one of the following is the characteristic of service motive organization? Maiti Nepal is an example of ______. What is the major source of income for service motive organization? Which one of the following office distributes goods and services for earning money? Any Questions on 'Types of Office '?